The number one thing I miss about my job as a magazine photo editor is collaborating with other creatives. So shoots like this where I get to brainstorm fun ideas and bring them to life are SO MUCH FUN! 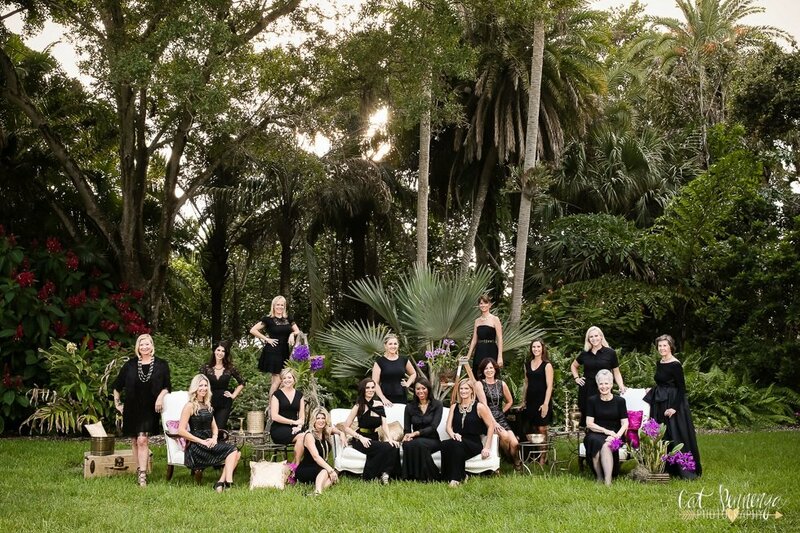 Roger Capote, Director of Events at Marie Selby Botanical Gardens asked me to shoot a portrait of the 2016 Orchid Ball committee (you might remember last year’s amazing Orchid Ball Booth!) and he said the concept was “Regal”. So I scoured editorial shoots that included a lot of gorgeous women (we had 16! ), we teamed up with the always amazing Priscilla from The Reserve Vintage Rentals and we created a pretty regal final product I think! The ladies made it easy by looking so glam, but you can’t tell at all it was about 90 degrees and 99% humidity that day! Can’t wait to see 2016’s Orchid Ball come together!